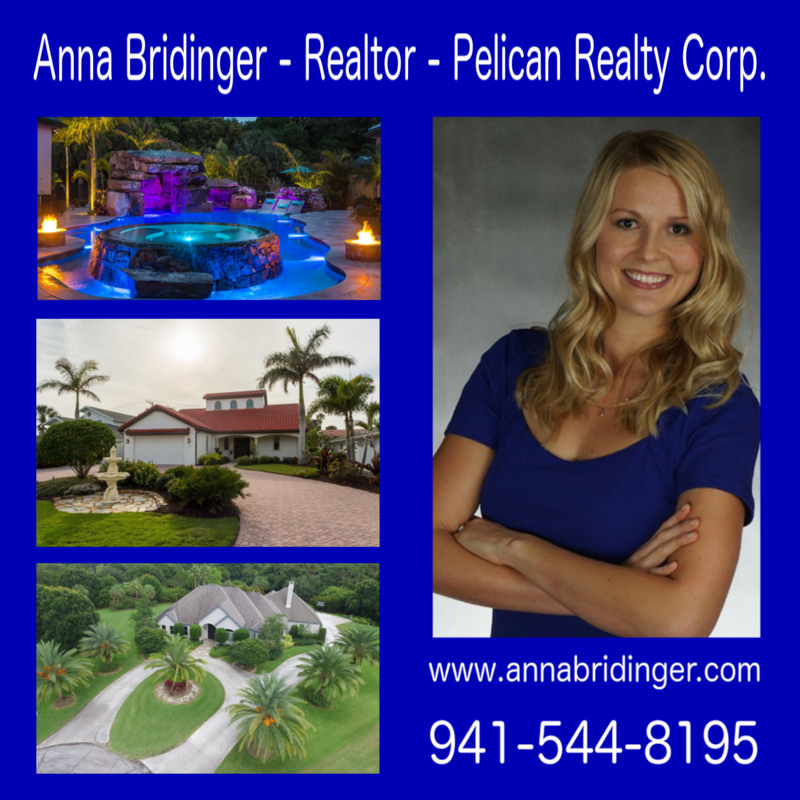 Anna Bridinger – Realtor at Pelican Realty Corp.
Polska Baza Biznesów w Tampa Bay i na całej Florydzie to pierwsza i największa darmowa kolekcja polskich biznesów dużych i małych sponsorowana przez polską adwokat na Florydzie, Agnieszkę Piasecką, aby pomóc Polonii i wspierać polskie biznesy w Tampa Bay i na całej Florydzie. Jest to pierwsza i jedyna darmowa baza polskich biznesów na Florydzie, która zaczęła się od jednej skromnej strony internetowej zawierającej kilka lokalnych biznesów w Tampa Bay, a obecnie ma 16 stron internetowych i ponad 100 polskich biznesów na całej Florydzie oraz w Tampa Bay. Polska Baza Biznesów Tampa Bay jest obecnie największą tego rodzaju bazą i wciąż się rozrasta. Polska Baza Biznesów w Tampa Bay ma obecnie średnio ponad 35,000 odwiedzających miesięcznie! 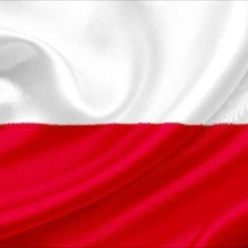 Polska Baza Biznesów w Tampa Bay jest promowana przez adwokat Agnieszkę Piasecką regularnie na łamach polskiej prasy, White Eagle (Biały Orzeł), Biuletyn Polskiego Centrum Jana Pawła II oraz na Facebooku w internecie. Polska Baza Biznesów Tampa Bay, Floryda jest bezpłatna dla ogłoszeniodawców i zawsze pozostanie bezpłatna. Jednak w związku z dużą liczbą ogłoszeń i zapotrzebowaniem, jako nowość oferujemy teraz możliwość odpłatnego wyróżnienia swojego ogłoszenia, aby pojawiło się na początku listy. Wszystkie zyski z ogłoszeń wyróżnionych są inwestowane w promocję Polskiej Bazy Biznesów w Tampa Bay, Floryda. 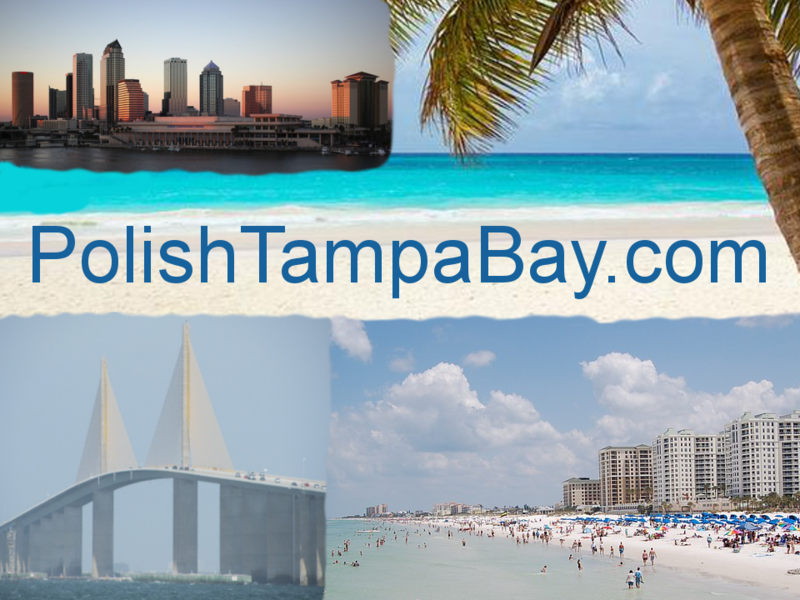 Jeżeli chcielibyście bezpłatnie dodać swój biznes do naszej bazy polskich biznesów w Tampa Bay i na całej Florydzie, prosimy o przesłanie treści ogłoszenia oraz zdjęcia na adres email: freepolishdirectory@yahoo.com. WAŻNE: Ogłoszenia i reklamy osób trzecich oraz linki do ich stron internetowych zawarte na tej stronie nie są osobistymi rekomendacjami Agnieszki Piaseckiej. Administrator tej strony oraz Agnieszka Piasecka nie ponoszą żadnej odpowiedzialności za treść ogłoszeń zawartych na tej stronie oraz za ofertę reklamodawców i jakość ich produktów i usług. Administrator zastrzega sobie prawo do edycji i odmowy zamieszczenia wybranych ogłoszeń. Proszę o zapoznanie się z Website Advertising Disclaimer & Policies na dole strony. This site may contain third party advertisements and links to third party sites. The webmaster and Agnieszka Piasecka, Esq. do not make any representation as to the accuracy or suitability of any of the information contained in these advertisements or sites and do not accept any responsibility or liability for the conduct or content of those advertisements and sites and the offerings made by the third parties. It is each Advertiser’s own responsibility and liability to ensure that the content of their ads is true, accurate and not misleading. Advertising on the website is free and no fees or charges are collected from any advertisers. It is each advertiser’s sole responsibility to obtain and maintain any applicable and necessary licensure, certifications, insurance, bonding and fulfill any other requirements necessary to legally and lawfully sell their products, goods and services. Agnieszka Piasecka and the webmaster will not be held responsible for advertisers’ failure to comply with any legal requirements described above. Third party advertisements and links to other sites where goods or services are advertised are not endorsements or recommendations by attorney Agnieszka Piasecka of the third party sites, goods or services. The webmaster and Agnieszka Piasecka take no responsibility for the content of the ads, promises made, or the quality/reliability of the products, services, or positions offered in all advertisements. The webmaster reserves the right to decline any advertising. Classified ads that mislead visitors are prohibited. The webmaster and Agnieszka Piasecka are not responsible for the content of third party sites that are directly or indirectly linked from this site. Advertising on this site does not imply endorsement of the advertised product, company or service. The webmaster shall have complete discretion to determine the acceptability of any and all advertisements and advertisers. Advertising agreements may be terminated without notice by the website administrator immediately if Advertiser posts improper or misleading content. In addition, the webmaster may, in its complete discretion, refuse to insert any other advertising that it deems misleading and inappropriate. Please call the business and make sure that they are still open and in the same location. We do our best to quickly update any closures or changes of locations, but we are not always notified of changes by the business owners. Therefore, we recommend that you call all businesses before driving to their locations. It is each advertiser’s own responsibility and liability to ensure that the content of their ads is true, accurate and not misleading. It is each advertiser’s sole responsibility to obtain and maintain any applicable and necessary licensure, certifications, insurance, bonding and fulfill any other requirements necessary to legally and lawfully sell their products, goods and services. Agnieszka Piasecka and the webmaster will not be held responsible for advertisers’ failure to comply with any legal requirements described above and for content of advertisers’ ads. Before you purchase any goods or services from any advertisers, please make sure that they have obtained and maintained any applicable and necessary licensure, certifications, insurance, bonding and have fulfilled any other requirements necessary to legally and lawfully sell their products, goods and services. Below are numerous websites, links, and telephone numbers that may help to facilitate your search. The Consumer Protection Division of the Office of the Attorney General is the civil enforcement authority for violations of the Florida Deceptive and Unfair Trade Practices Act. The Division protects consumers by pursuing individuals and entities that engage in unfair methods of competition or unconscionable, deceptive and unfair practices in trade or commerce. The Florida Department of Health is responsible for the regulation of health practitioners for the preservation of the health, safety, and welfare of the public. The Licensing and Regulation section provides information relating to professional, facility, and permit licensing along with information on enforcement. Please visit: http://www.floridahealth.gov/licensing-and-regulation/index.html to search for Regulated Professions, Regulated Facilities and Permits. Make sure that the information on the attorney’s State Bar profile, Florida Bar number, picture, address, e-mail, and telephone numbers, match the information the attorney has given you before paying them or signing anything.